Good morning world! We’re halfway though another week and it’s time for another edition of Home Etc. I was flying solo last week as my gorgeous co-host Jess — from mummy of boy girl twins — had moved house and was without wifi!! Horrors. Thankfully, the technology fairies have been round to her lovely new home and she’s now back in blogland. My favourite post from last week came from Sue who blogs over at Home Heart Harmony. 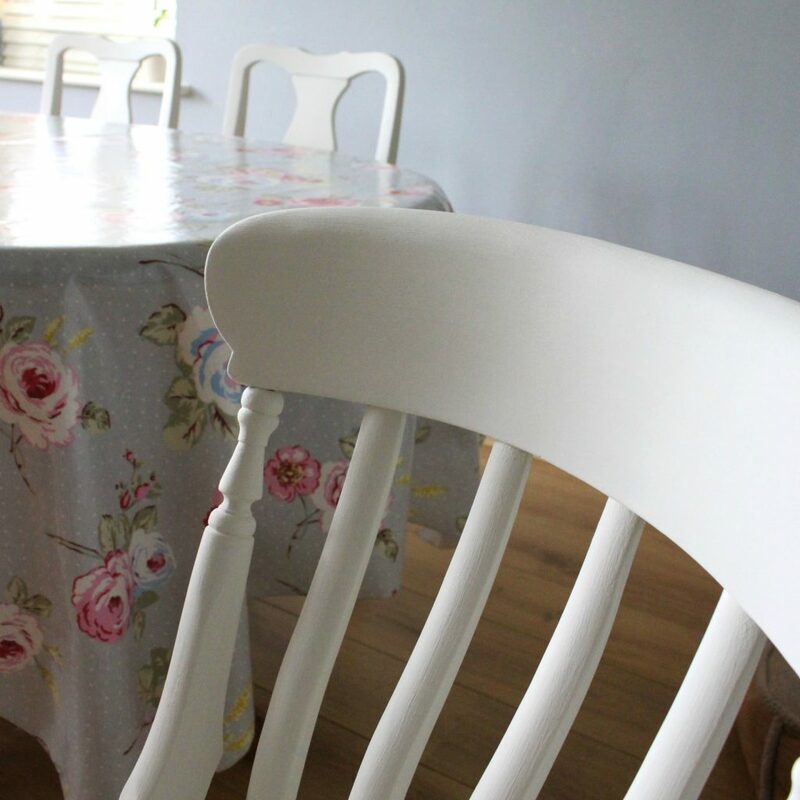 You know how much I love a good upcycling project and her lovely post shows just what can be done with a bit of time, some patience and a couple of tins of paint! It always makes me so happy to see all the different posts linking up — I love how creative people are and it’s so inspiring to see everyone’s different styles and tips. I have exactly the same project in mind for my own dining chairs, funnily enough, which are painted in an insipid shade of cream. I’m desperate to give them a bit of an overhaul with some fresh white paint. Seeing what Sue has achieved has given me the incentive to (try to) make time to do it. Before and After! 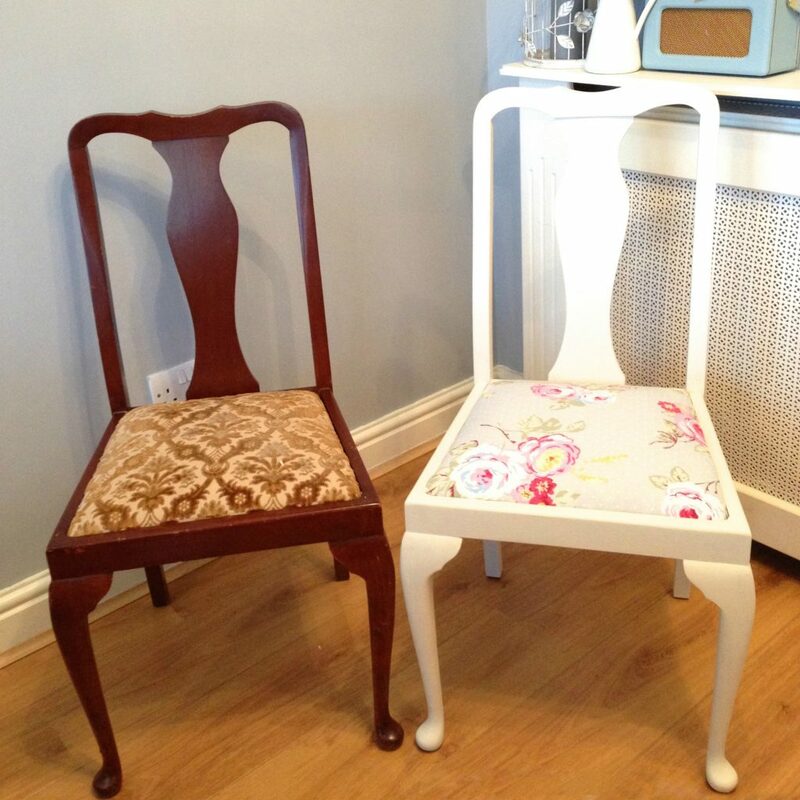 Sue’s — Home Heart Harmony — fabulous chair upcycling project! Jess’ favourite post came from Catherine who blogs over at Pushing The Moon. Her post was full of brilliant tips and advice on how to make a rental property feel like a home. My boy and I went into rented accommodation after we’d sold our last house, to put us in a stronger position when a house we wanted to buy came on the market. Initially, it felt a bit odd to be living in someone else’s house — after owning our own home for so long — but it wasn’t long before it felt homely. Well done ladies — you’re now both in the running to scoop a voucher from our fabulous sponsor — HomeSense! Thanks so much to everyone for supporting #HomeEtc. Thanks for hosting! I loved those chairs too. I’d really like to do something about our kitchen table and chairs – our Ikea chairs are on their last legs!